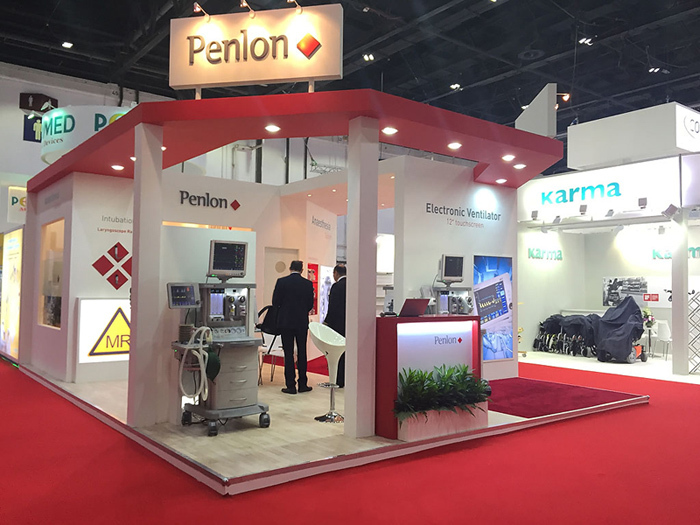 Further enhancements and options to the Prima Series workstations will be centre stage on the Penlon stand (4G20) at Arab Health 2017. On display will be the Prima 451 MRI recently uprated to 1000 gauss for use in 1.5 and 3 tesla scanner suites. The ultra compact Prima 440; and modular Prima Series workstations with new electronic flowmeter, ventilator and display options complete the line up. As well as showcasing Penlon’s anaesthetic machine portfolio the stand will also feature the new Sigma EVA electronic desflurane vaporizer and the award winning Sigma Delta vaporizer. Yet again this year the Prima 460 Anaesthesia System will play a significant role in the ABHI’s (Association of British Healthcare Industries) highly successful Surgical Simulation Suite, located in the heart of the UK Pavilion. Visit us at booth 4G20 for more information and product demonstrations. Arab Health takes place 30th January – 2nd February 2017 at the Dubai International Convention & Exhibition Centre. This years’ event will showcase more than 4400 companies from 70 countries, and 38 dedicated country pavilions exhibiting their latest innovations. The Arab Health Congress 2017 also features 14 conferences offering CME points to attending medical professionals. Penlon is a long established medical device company, with headquarters and manufacturing facilities based in Abingdon, UK. The key areas of business are Anaesthesia, Intubation, Suction and Oxygen Therapy and are supported by our experienced Technical Service team. Penlon has a presence in over 90 countries worldwide.